The PD-1/PD-L1 category has been transforming cancer treatment in Western markets, but so far just one of the five approved drugs have been launched in the big Chinese market. Now, BeiGene is aiming to leapfrog the leaders with its tislelizumab candidate. The Beijing-based biotech – which is gearing up for an initial public offering – has topline data from a pivotal trial of its PD-1 inhibitor in Chinese patients with relapsed/refractory classical Hodgkin’s lymphoma, and is hoping to file for approval in its home market later this year. The single-arm trial enrolled 70 cHL patients who had failed autologous stem cell transplantation (ASCT) – a primary treatment for the cancer – or were ineligible for the procedure. Tislelizumab achieved an overall response rate of 73%, with 50% of patients having a complete response, after a median follow-up of six months. China is the world's second-largest market for pharmaceuticals, worth $122.6bn last year according to IQVIA, and the fastest emerging market for the sector with its size expected to swell to $145bn-$175bn by 2022. There is a huge pent-up need for new cancer immunotherapies. However, while the developers of the five approved PD-1/PD-L1 inhibitors – Bristol-Myers Squibb, Merck & Co/MSD, Roche, AstraZeneca and Merck/KGaA/Pfizer – insist that getting their drugs approved in China is a priority, they have taken a long time to prepare for launch. BMS won approval for Opdivo (nivolumab) in non-small cell lung cancer (NSCLC) last month, and MSD has also filed a marketing application for Keytruda (pembrolizumab) for NSCLC. They will likely face a tougher competitive environment in China than they did in the west, however, as local companies – including Shanghai Junshi Biosciences and Innovent Biologics – have already filed their PD-1 inhibitors (JS001 and IBI308, respectively) in their first indications and there are many more coming through the pipeline. “We are excited to announce the preliminary topline results from our first pivotal trial for tislelizumab. Despite short follow-up, we believe there was a demonstration of robust activity, with high overall and complete response rates in addition to a safety profile that is consistent with other PD-1 inhibitors. 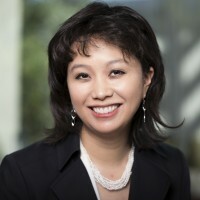 We believe these strong results will support our first regulatory filing in China for tislelizumab, which is planned for later this year,” commented Jane Huang, M.D., Chief Medical Officer, Hematology, at BeiGene (pictured). Along with BeiGene, Hengrui Medicine also has an anti-PD-1 drug in registration trials, and there are upwards of 20 other PD-1 and PD-L1 drugs in earlier clinical development. BeiGene is also carrying out phase III trials of tislelizumab (BGB-A317) for NSCLC, hepatocellular carcinoma, and oesophageal squamous cell carcinoma, and has mid-stage trials on the go in lymphomas and urothelial cancer. It licensed ex-China rights to the drug to Celgene last year in a deal valued at up to $1.4bn. 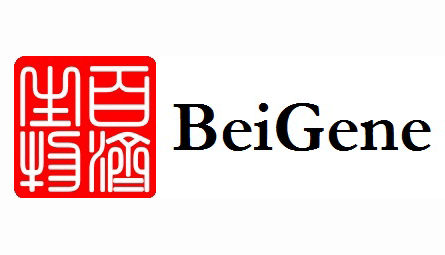 Not all of BeiGene’s programmes are directed solely to the Chinese market. The company has also just announced that it has completed enrolment in a phase III trial of BTK inhibitor zanubrutinib in Waldenström macroglobulinemia and should be in a position to file for approval in the US – where it has fast track status – in mid-2019. If approved zanubritinib would compete with Johnson & Johnson/AbbVie's big-selling Imbruvica (ibrutinib) and other therapies nearing the market, including AstraZeneca's already-filed acalabrutinib.